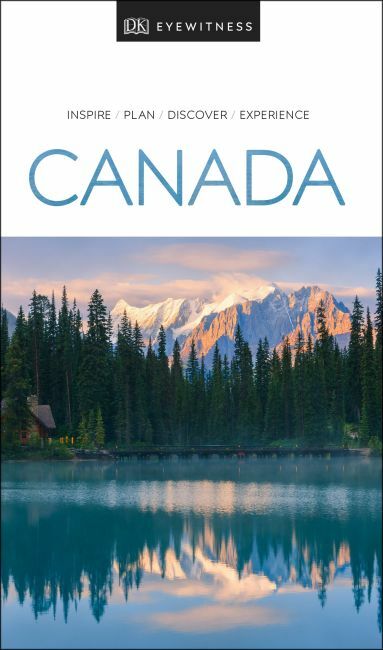 Discover Canada with this essential travel guide, designed to help you create your own unique trip and to transport you to this incredible country before you've even packed your case - marvel at the magnificent thundering waterfalls of Niagara Falls, hike through spectacular scenery in Banff National Park or wander among the skyscrapers of Toronto. The DK Eyewitness Guide Canada covers the must-see attractions and hidden sights, so you won't miss a thing. - Reasons to love Canada: natural wonders, scenic towns, winter sports - what will yours be? DK Eyewitness Travel Guide Canada is a detailed, easy-to-use guide designed to help you create your own unique trip. On a shorter trip? Try our DK Eyewitness Top 10 Montreal and Quebec or DK Eyewitness Top 10 Toronto.